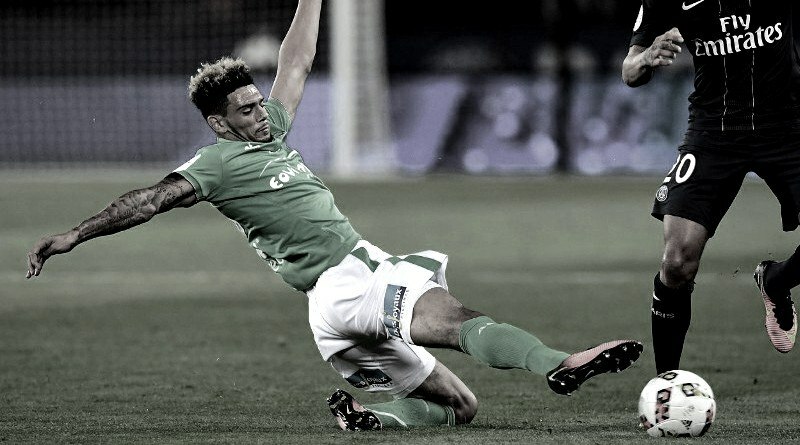 Manchester United are linked with Saint-Étienne defender Kevin Malcuit, according to the football transfer rumours in French Media. Kevin Malcuit has joined Saint-Étienne from FC Niort for a fee in the region of 500,000 euros in August 2015. The 25 year-old has a valid contract with Saint-Étienne until the June 2019. Since his arrival from FC Niort, Kevin Malcuit has provided five assists in 40 games for Saint-Étienne, including four assists in 28 games in all competition this season. The 21-year-old is considered to be one of the best right-backs in Ligue 1. Kevin Malcuit has been target of José Mourinho as the manager look to bolster his defensive options for the next season. Manchester United aren’t the only ones who are reportedly interested in the France international. West Ham United are also thought to be tracking Malcuit.